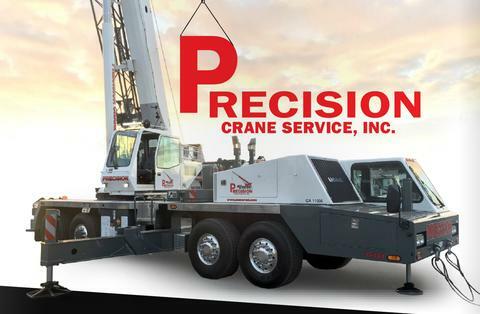 Precision Crane Service is crane rental for any number of applications. We also offer trucking and heavy machinery moving throughout Northern and Central California, and specialty services for the wine and beverage industry. Forklifts, 5,000 to 80,000 pound capacity. Special attachments, rigging services, air jacks, gantrys, and more. 180 ton capacity, 280' main boom, 100' jib, three drums. Fully equipped with tools and a foreman-quality operator. Fork lifts with forks, booms, or special attachments. Forward reach fork lifts with forks, booms, or special attachments. Spreader bars keep lifting cables from pressing against and damaging your valuable equipment. We have a wide array of standard and custom spreader bars so we can safely lift and move any load. Learn more about our cranes. Precision Crane Service is more than just cranes. We also offer trucking and heavy machinery moving throughout Northern and Central California, and specialty services for the wine and beverage industry. Have your heavy load shipped straight to us and we'll store it until you need it, then load it, haul it to your jobsite, and lift, lower, push, carry, or move it into place. Boom trucks are self-loading and self-unloading. They combine a flatbed truck and hydraulic crane on one rig so they can efficiently haul and lift their own load. For loads up to 23 tons. Boom trucks can also haul trailers, increasing hauling capacity at minimal cost. Custom-built lowboy trailers designed, engineered, and built by us to move oversize prefab stainless tanks right to your job site. Classic 16-tire "drop-center" lowbed for heavy hall. These semi-trailers are for highway transport of oversize or overweight loads. We handle all the permitting and paperwork with the Highway Patrol and other agencies for variances to move such loads. These "telescope" so we can change their length to accommodate various loads, from over-long pipe for utility work to portable buildings. For hauling moderate loads, from machinery to back-hoes and small dozers. We have hydraulic equipment trailers which split to form their own ramp for efficient loading and unloading. We maintain our own fleet of semi truck tractors to ensure quality, reliability, and availability. We save you time, speed up paperwork, and ensure accuracy by having our own truck scale in our main yard. Learn more about our Trucking work. This highly adaptable array of heavy moving equipment enables us to slide, roll, carry, raise, lower, or push your heavy load into place anywhere a crane can't drop it in from above. Learn more about Machinery Moving. "... the effort your people put forth in an absolute downpour was truly superb. Their performance was safe, professional and above and beyond the call of duty ... As usual, it is a pleasure doing business with Precision Crane Service." © 2016 Precision Crane Service, Inc.